Ivy House Lakes are located in Grittenham, Wiltshire – a few miles from Royal Wootten Bassett. 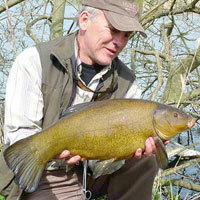 The venue is owned by Andy Lloyd, a name many match anglers around the country will be familiar with. The complex has had a lot of work carried out on it recently to improve the stocking, pegs and facilities. If you haven’t paid a visit here recently then you should give it a go. Match lake – despite the name, this lake is available for pleasure fishing when there are no booked in matches. 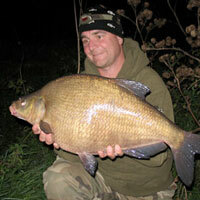 The carp go to around 8lbs with bream to around 4lbs. 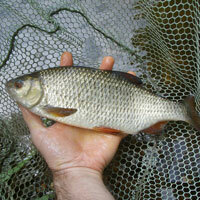 There are also roach, perch and tench to target. Willow lake – The carp in here go up to the late teens. 24h fishing is allowed on here and its never used in matches. There are other mixed species. Specimen lake – The carp in here go up to the mid 20s. 24h fishing is allowed on here and its never used in matches. Kingfisher (old canal) – a refurbished lake which is only used for match fishing. It’s stocked with a big head of small carp and silverfish. Moorhen (new canal) – recently refurbished and stocked with carp. This is currently closed for fishing. 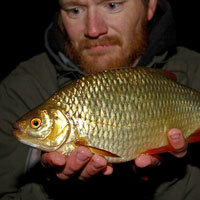 Peter’s pond – a great lake for beginners. Stocked with silverfish, there are big pegs which are designed for families or people who want to fish together. Tickets should be obtained prior to commencing fishing from the cafe or tackle shop. Address: Whitehill Lane, Grittenham, Wiltshire, SN15 4JU.